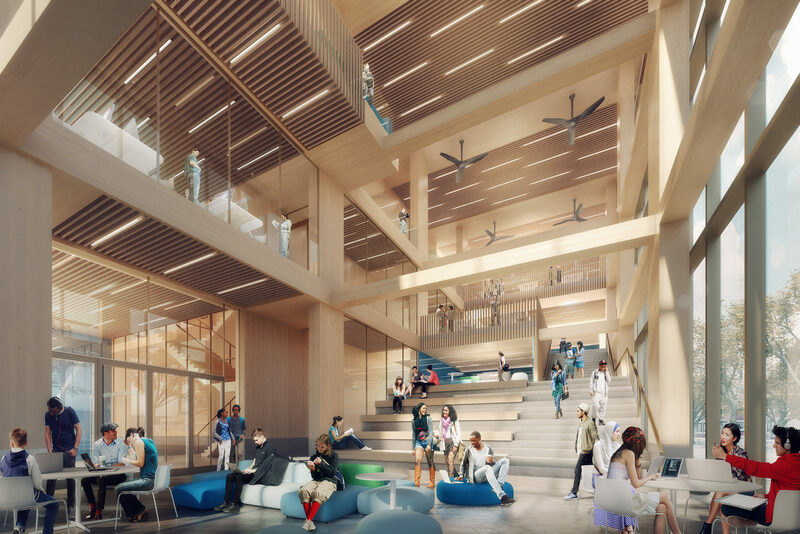 George Brown College envisions the Arbour as a landmark, tall wood, low-carbon building that will feature ecological innovation across its entire life cycle. 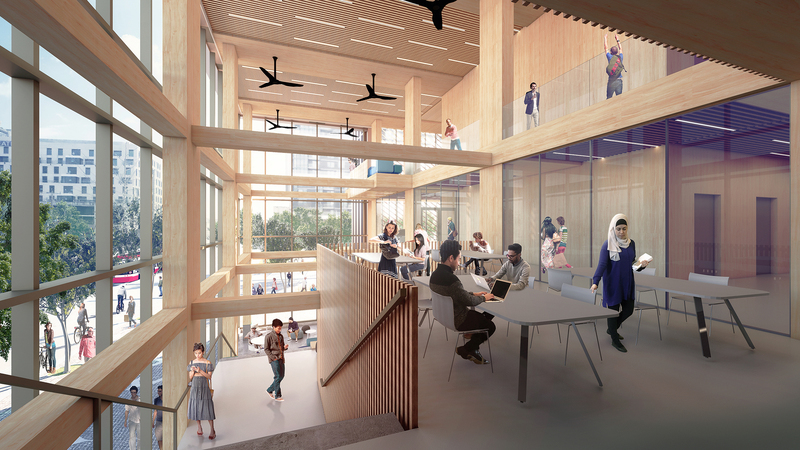 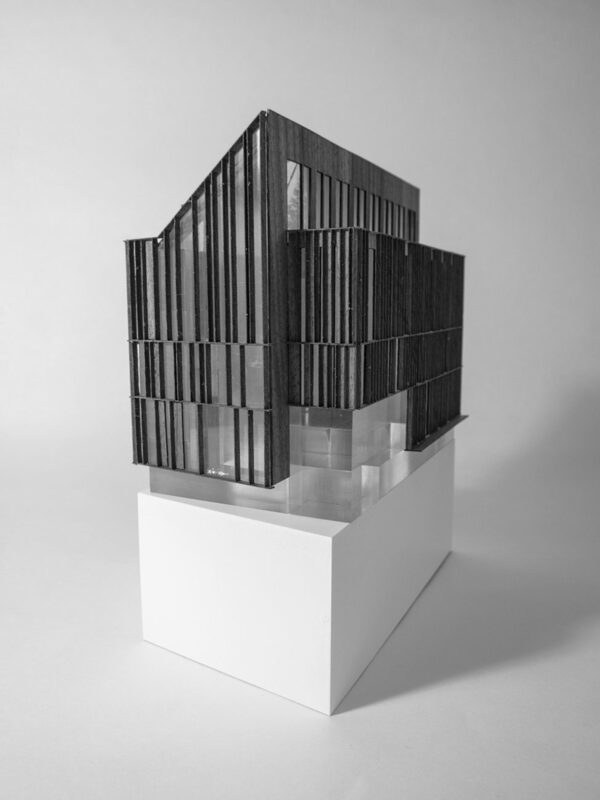 A model for 21st Century smart, sustainable, green building innovation throughout Canada, the Arbour also has a Made in Canada structural solution where all of the mass wood components will be sourced nationally. 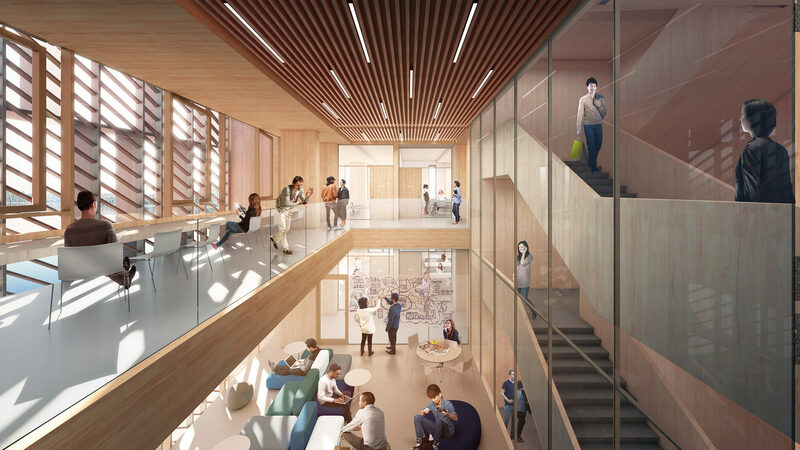 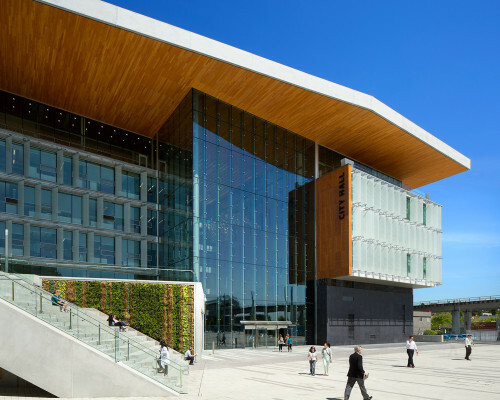 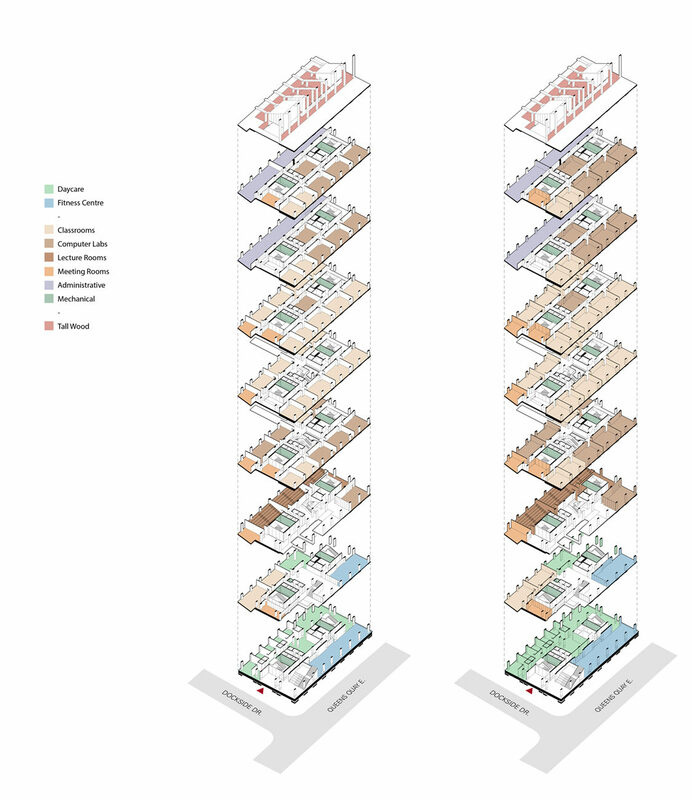 As the first tall wood building in Ontario, the design for the building instills generous spaces for wellbeing and sustainability, whose very name evokes green growth and shelter. 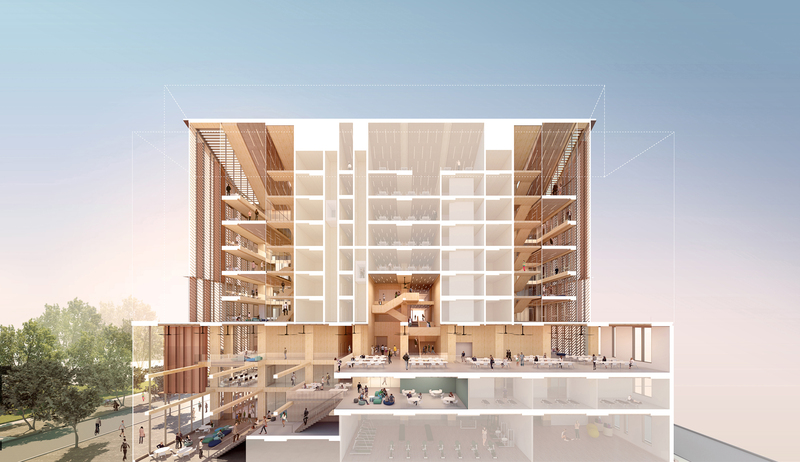 The building form and façade will be shaped and refined to maximize access to natural light and fresh air. 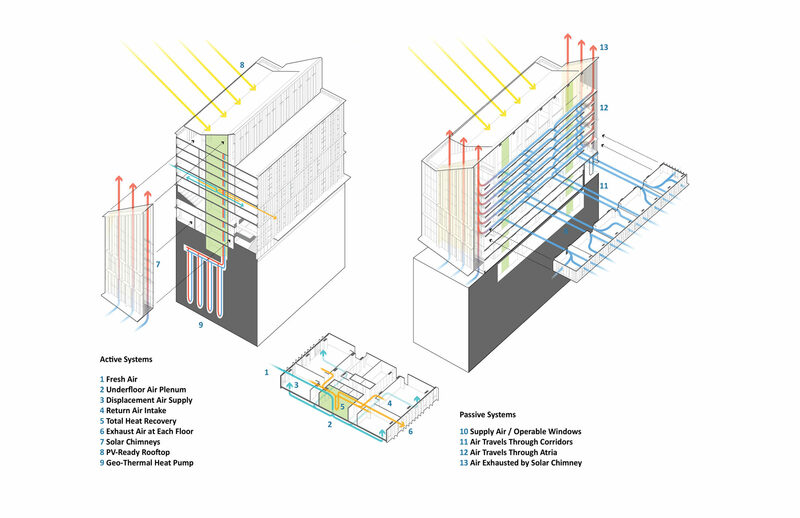 Two solar chimneys located on the east and west facades will be used to create a sustainable system of natural convection drawing air up and through the building from operable windows. 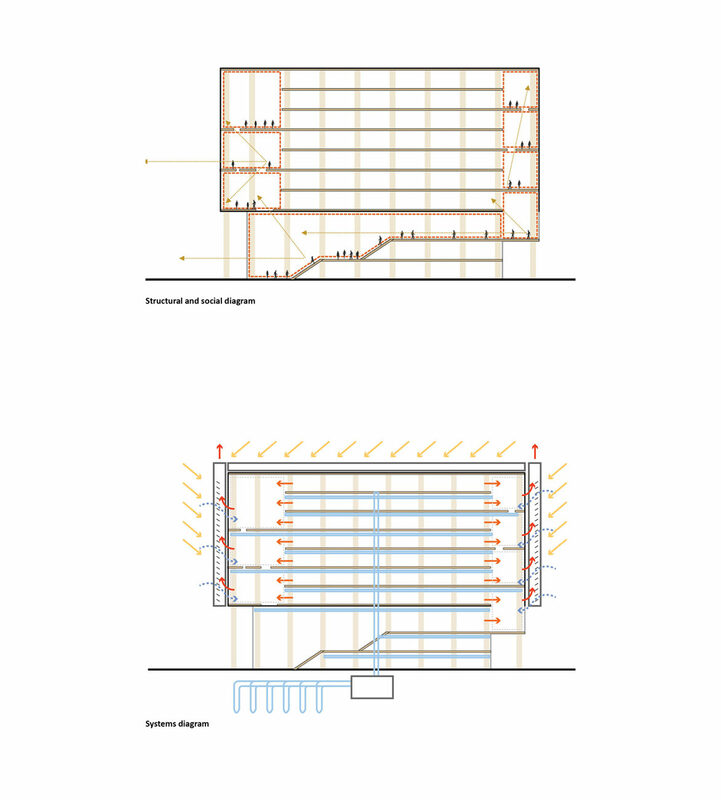 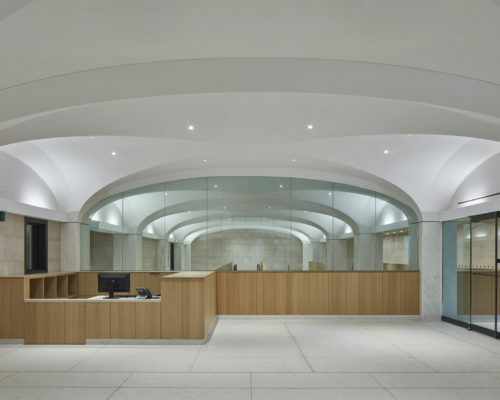 The large span, beamless structure, will enable demising walls to expand and contract, providing flexibility of sizes for a variety of learning spaces. 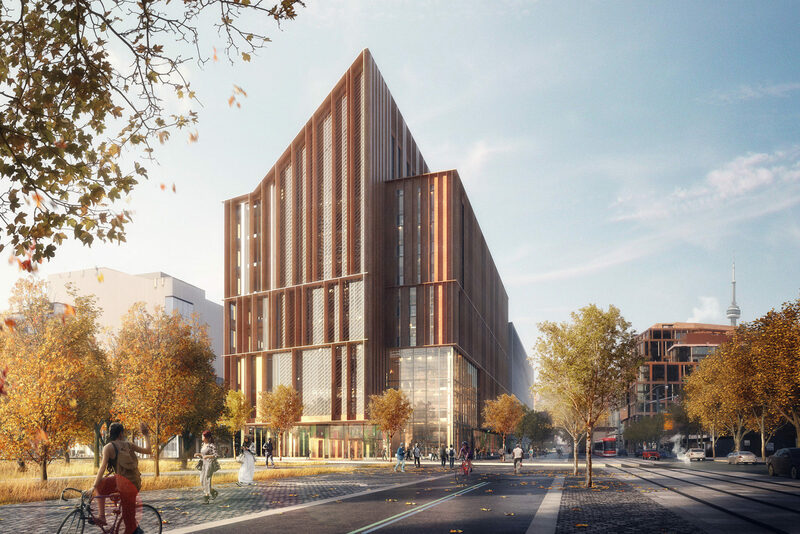 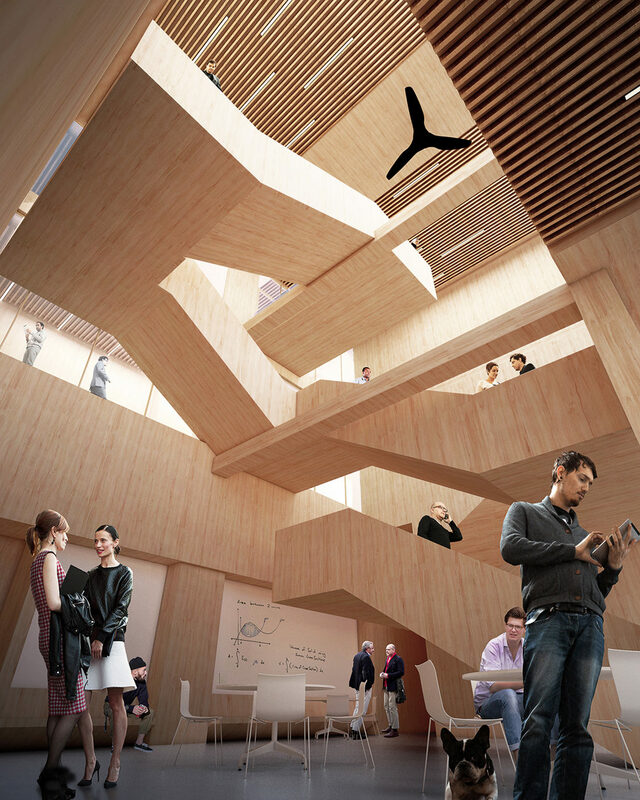 The angled apex of the Tall Wood Institute will speak to future advancements of tall wood technologies as well as the development of net-positive and low carbon building methodologies. 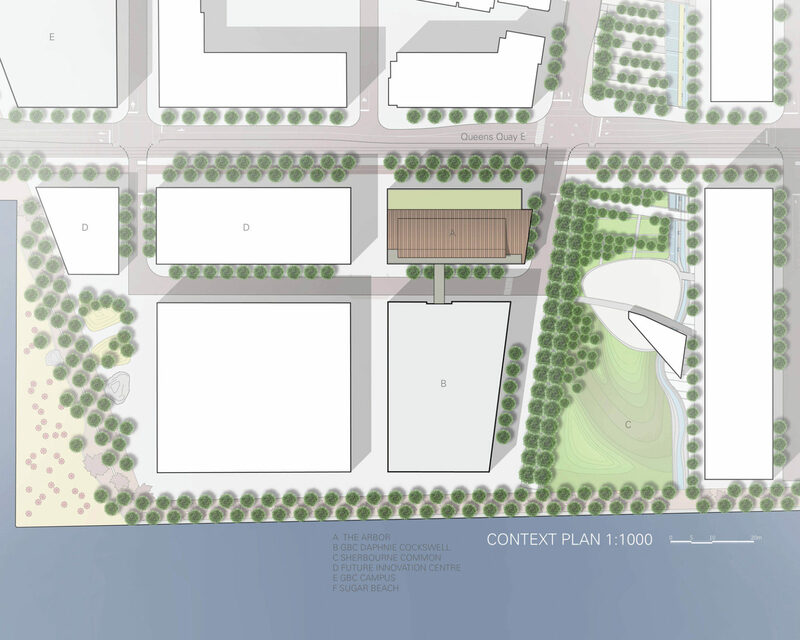 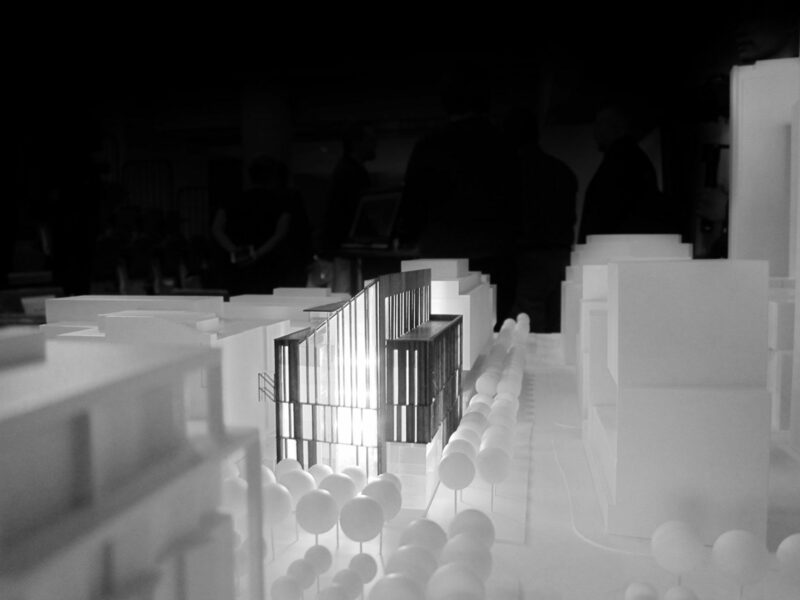 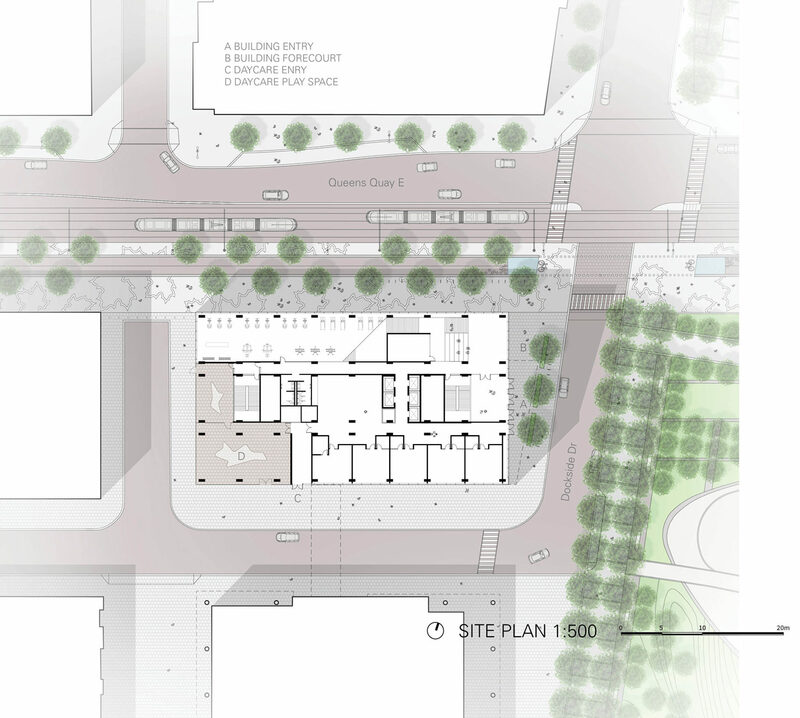 The outer bars will house classrooms, labs and administrative offices that look outward towards Sherbourne Common, the Water’s Edge Promenade and the upcoming School of Design on Queens Quay East. 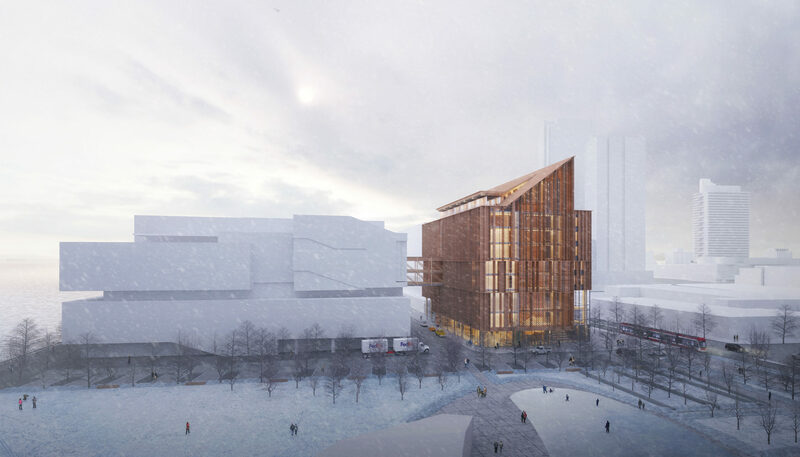 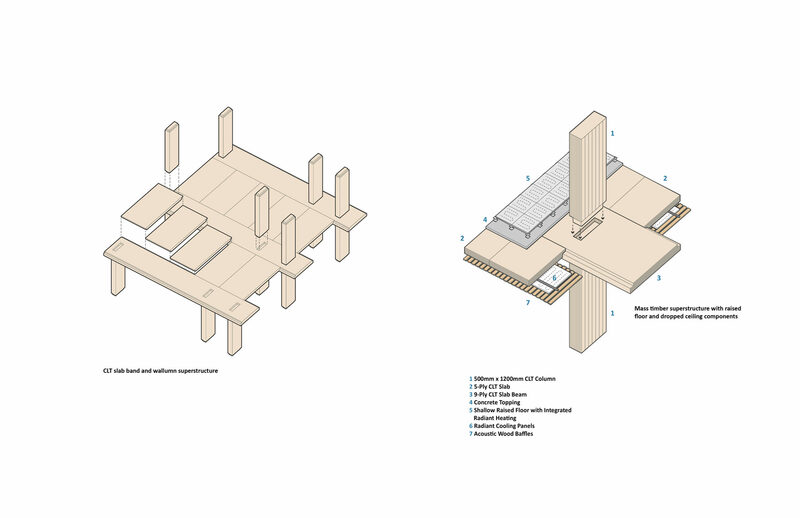 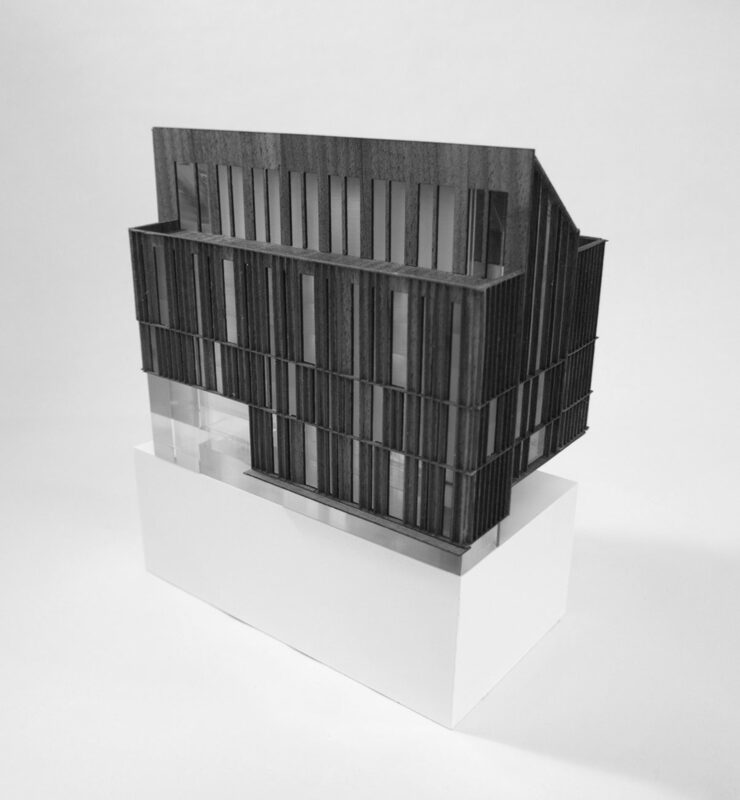 We are finalists for the George Brown Tall Wood Building Competition!